“This is a real bonus for me because I only boxed recently,” said the WBC International Silver champion. From boxing on the 22nd December to getting back out in seven-eight weeks is very fortunate and a good kick-start to 2019. “It is great exposure for me again and hopefully I will put on a good performance and make a statement,” added the young heavy, who believes exposure is almost as valuable as experience at this stage of his career. 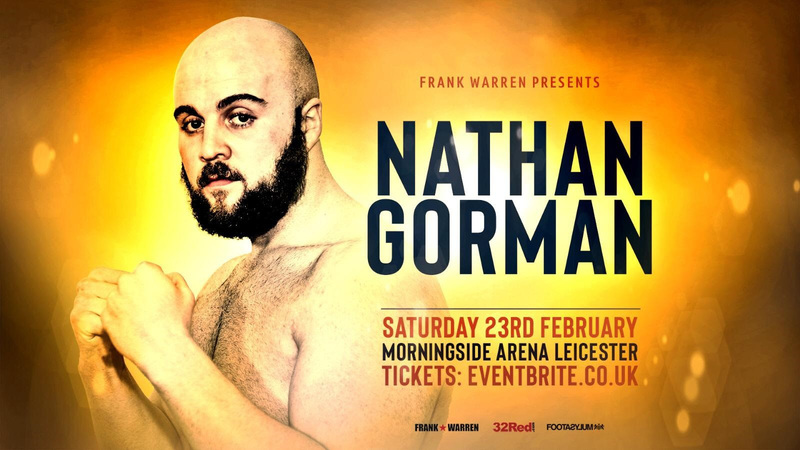 To that end, Gorman admits a degree of frustration that his last two fights – against Cojanu and before that Kamil Sokolowski – have reached the final bell. There were, however, mitigating circumstances in the Sokolowski fight because he sustained a hand injury in the first round, while Cojanu was a step up in levels and a wily campaigner. “It has annoyed me a bit, but the last one was very awkward and I could see why he went the 12 rounds with Joseph Parker. He was very clever at surviving and when you caught him with a good shot he knew how to hold on and he did little things in there that allowed him to get through. “The positive is that I got 12 rounds out that I had never done before – and against a big lump as well. Listen, I would have loved to have gone in there and knocked him out in the first round, but now I know I can do 12 rounds and for future fights that will pay dividends. Headlining the show at the Morningside Arena is the British super featherweight title showdown between the champion Sam Bowen from Ibstock in Leicestershire and Ronnie ‘The Shark’ Clark from Dundee. Local fighters CJ Challenger and Kyle Haywood do battle for the vacant Midlands Area super welterweight title, with Lyon Woodstock, Ryan Garner, Tommy Fury, Ryan Hatton and Mark Chamberlain also featuring on the card.